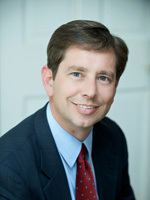 Daniel Dustin, CPA, joined NASBA on January 1, 2012, as Vice President of State Board Relations. In this role, Dustin serves as an advocate for state boards of accountancy and finds new ways and opportunities to provide support and service to NASBA’s member boards. Prior to joining NASBA, Dustin served as Executive Secretary of the New York State Board for Public Accountancy, an appointment that was made in 1998 by the New York State Board of Regents. As Executive Secretary, Dustin was responsible for professional licensing, practice and conduct, including professional discipline of Certified Public Accountants and Public Accountants in New York. A key point person in the regulatory process, Dustin monitored the evolution of professional practice at national and state levels, and developed and drafted proposed legislation and amendments to New York State accountancy rules and regulations. The 2010 recipient of NASBA’s prestigious Lorraine P. Sachs Standard of Excellence Award for distinction in accountancy regulation and public protection, Dustin is former chair of NASBA’s CPA Examination and Administration Committee, Accountancy Licensee Database Task Force and Executive Directors Committee. He also served as a member of the AICPA’s Peer Review Task Force and Board of Examiners, including having chaired the BOE’s Operations Committee. Dustin earned a Bachelor of Science degree and a Master of Science degree in Accounting from Clarkson University, and became a licensed CPA in 1988.